China based tech firm Meizu Technology has announced its highly anticipated smartphone – MX4 that has surfaced in numerous rumors and leaks. 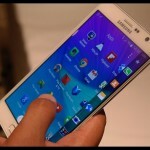 The device appears to be a powerhouse with a high-end processor, capable camera aspects and more. 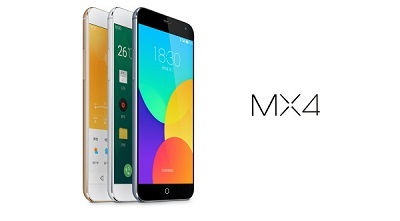 Also, the company claims that it has made use of aircraft grade aluminum magnesium alloy to build the Meizu MX4. 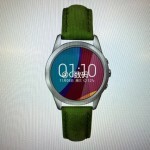 Initially, the smartphone will be released in its homeland China carrying a price tag of 1799 CYN (approx. Rs 17,700) for the 16 GB variant, 1999 CYN (approx. 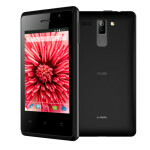 Rs 19,690) for the 32 GB variant and Rs 2399 CYN (approx. Rs 23,640) for the 64 GB variant respectively. Meizu MX4 will be available for pre-order starting from September 20 in China. As of now, there is no word regarding the global roll out of the smartphone. Elaborating on the specifications, the Meizu MX4 is fitted with a 5.36 inch IPS display boasting a screen resolution of 1920×1152 that translates to a pixel density of 418 pixels per inch. The display has an 85% increase in the NTSC color gamut and a brightness of up to 600 nit. An octa-core MediaTek MT6595 chipset operates in the smartphone and it comprises of a quad-core 2.2 GHz ARM Cortex A17 processor and a quad-core 1.7 GHz Cortex A7 processor, PowerVR G6200 graphics unit and 2 GB of RAM. The imaging hardware of the Meizu smartphone is pretty impressive with a 20.7 MP primary camera at the back with dual tone LED flash, f/2.2 aperture, Sony IMX 220 Exmor RS BSI sensor, 720p slow motion videos and 4K video recording capabilities. 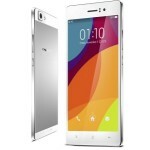 At the front, the handset flaunts a 2.1 MP front-facer with f/2.0 aperture. As mentioned above, the handset comes in three configurations – 16 GB, 32 GB and 64 GB that cannot be expanded externally as there is no expansion card slot. Connectivity wise, Meizu MX4 is packed with features such as 4G LTE, 3G, Wi-Fi, Bluetooth 4.0 and GPS / GLONASS. Running on Flyme OS 4.0 based on Android 4.4 KitKat, the smartphone houses a 3,100 mAh battery to power it from within. With these top tier specifications, the Meizu MX4 smartphone will definitely threaten the flagship models that are launched by the other manufacturers.